These jeweled tiaras are the perfect accessories for Weddings, Proms, Pageants, Parties, Birthday, or other special occasions. The SPARKLYCRYSTAL tiara comes in a keepsake presentation round clear plastic box. 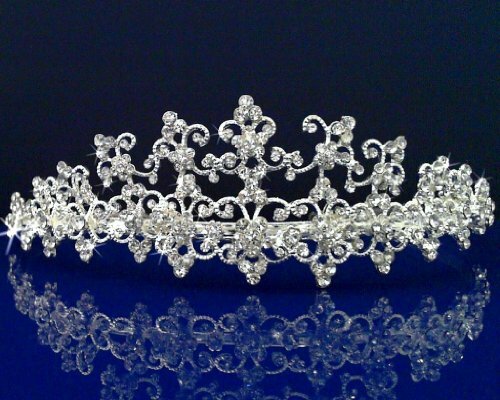 It's a great display for your precious tiara and to keep your pleasant memory forever. Measures approximately 1-1/2" tall at the center. If you have any questions about this product by SparklyCrystal, contact us by completing and submitting the form below. If you are looking for a specif part number, please include it with your message.